Quality product for raising heifer and dairy beef calves. 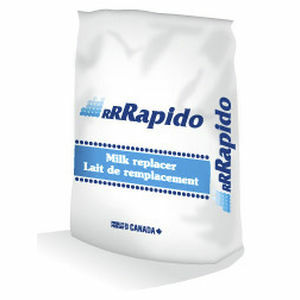 Rapido is a new generation formula for raising calves. A unique formulation, utilizing milk and vegetable proteins allows for calf development and growth comparable to all milk formulations. Our continuous research has shown consistent results with this blend of milk and vegetable proteins.